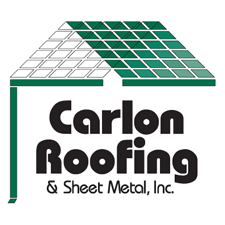 Carlon Roofing & Sheet Metal® is a commercial roofing contractor with a track record of quality workmanship and customer service when it comes to commercial roofing systems. Over the last 30 years we have earned a reputation of providing the finest quality roofing systems at an affordable price. We look at your needs and consider all the factors before recommending a specific roofing system for your building. Our project managers and inspectors will review every detail, to assure that your new system is installed according to the manufacturer’s specs. Our experienced craftsman will complete the project in a timely and professional manner. See some of our Commercial Roofing Projects. We install a variety of commercial roofing systems such as Single Ply Rubber and PVC Membrane, TPO, EPDM and the RM System. Each system has strong points for each individual job. After a professional evaluation of your roof, we can let you know which system will give you the best performance. Get a commercial roofing estimate today!